HyperX is a very popular brand among the gaming community for Memory, SSD, and USB drives. Kingston has always been a reliable name for memory cards and USB drives and HyperX is the company’s offering for the gamers. 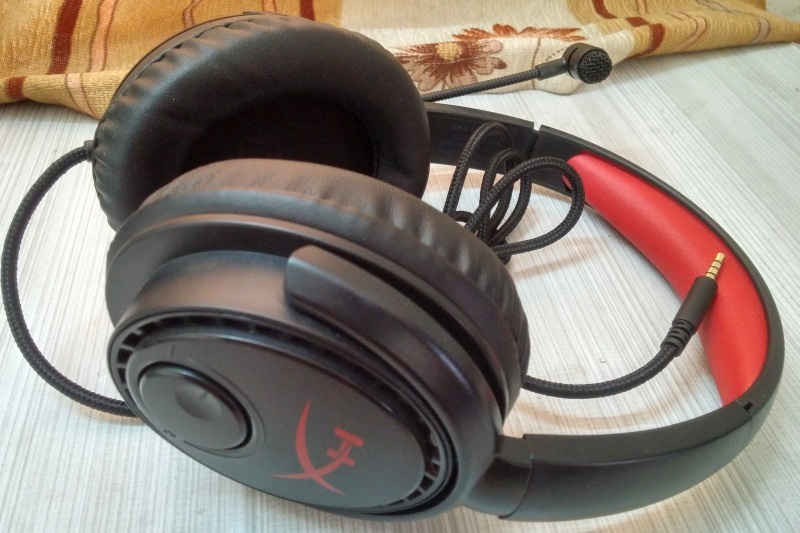 We received HyperX Cloud Drone KHX-HSCD-BK gaming headset for review. To be honest, at first I was skeptical about the sound quality of HyperX Cloud Drone. After all, HyperX is known for RAM and flash drives and not for sound equipment. But the time that I spent listening to the audio via these headphones changed all that. In this review we will focus only on the core features and performance of HyperX Cloud Drone in the regular scenario i.e. music, movies, gaming, and calling. HyperX Cloud Drone is one good looking gaming headset priced very competitively at Rs. 2,249 on Amazon India. Cloud Drone stays true to its ‘Cloud’ moniker and comes in black colour with a red pad on the headband. The headset looks and feels premium to use, given its price tag of course. The headset is made up of black plastic having matte finish. It is worth noting the plastic doesn’t feel cheap in any sense. The build quality looks good too and the headphones would easily last you a couple of years if not abused or thrown to your dog. Generally, it also helps to keep your gadgets away from curious kids who have the tendency to twist, pull, and bite everything they see just for the sake of knowing what it is made up of. The left earcup mounts the microphone cord which is ductile and can be folded into any shape as per the situation. The right earcup mounts the volume dial which can be accessed very easily. Both the earcups sport the HyperX logo. It is this logo and the red headband padding which impart a distinct look to this headset. Another interesting feature is the “click” microphone activation. When you slide down the microphone towards your mouth you will hear a “click sound”. This sound means the mic has been activated. After you are done with the call, then you simply slide the cord upside until you hear the “click” sound for mic deactivation. My only complaint about the design is that the earcups aren’t fully rotatable and are non-collapsible too. This makes the headphones slightly less portable as it would be difficult to carry them along with your laptop or books in a backpack. Overall, the headset feel light weight and the leatherette earpads made up of memory cushion are not just soft but also help in noise isolation. This make the headset ideal for long gaming sessions and marathon movie sessions. The headphones also have 4 cm extension on both sides which can be used for adjusting the headphone to any head size. 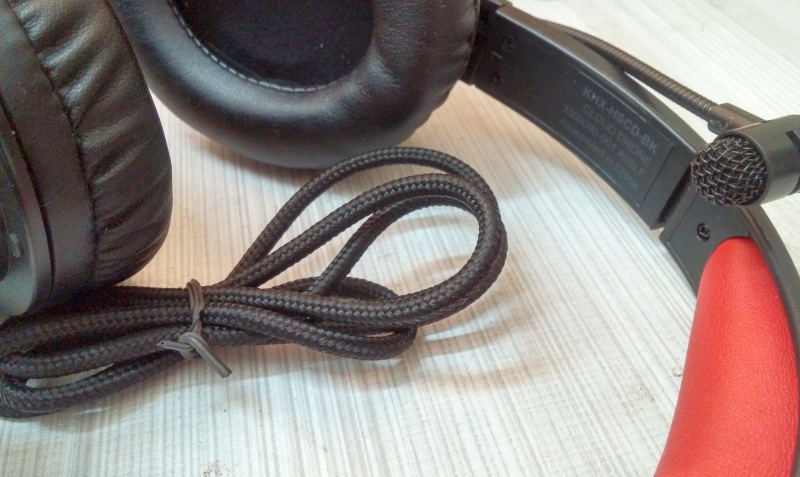 The braided cable is tangle free and would last much more than the plastic cable in regular headphones. The earcups are oval in shape and the earpads around them fit snugly around the ears and thus provide isolation from ambient noise. Surprisingly there is no left or right marking on the earcups. HyperX assumes that everybody knows the microphone is always on the left. Talking about the sound quality, it’s above average and exceeds the expectations. Well, you really can’t expect anything more for Rs. 2,249. Can you? The headphones offer excellent mids, with good bass but the treble could have been much better. A major disappointment is the volume level. It is not very low but as now as high as I was expecting. So I would give these headphones a 7/10 rating in the audio department. The noise cancelling microphone does a decent job too. The person on the other end could hear my voice very clearly in spite of the background traffic noise. Yes, I tested it outdoors too. 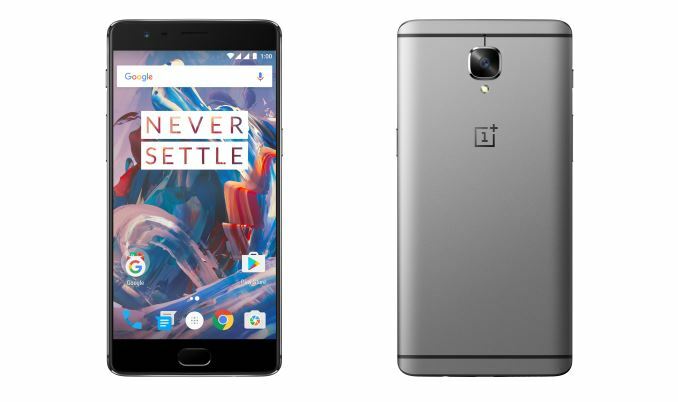 There is no crackling and the mic just have the right amount of sensitivity to recognize the voice commands. To conclude I would say that the HyperX Cloud Drone is a good buy if you are looking for something affordable with above average performance. The headset has red accent on a black body which helps it stands out from the crowd. The leatherette padding on the earpads and headpad impart it the premium looks desired in any gaming headset. Well, if you like then you can order it right now from Amazon and enjoy decent quality headphone at a competitive price. 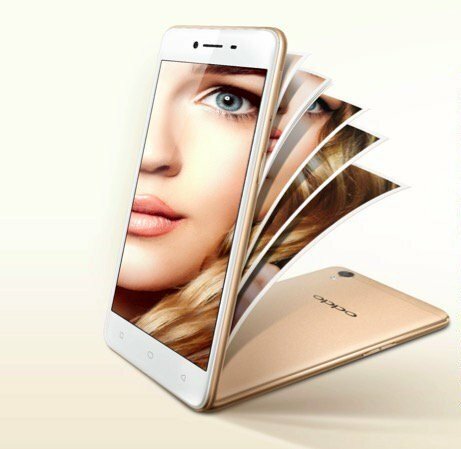 Oppo A37 Coming To India For Rs. 12,990. Is It Bound To Fail?